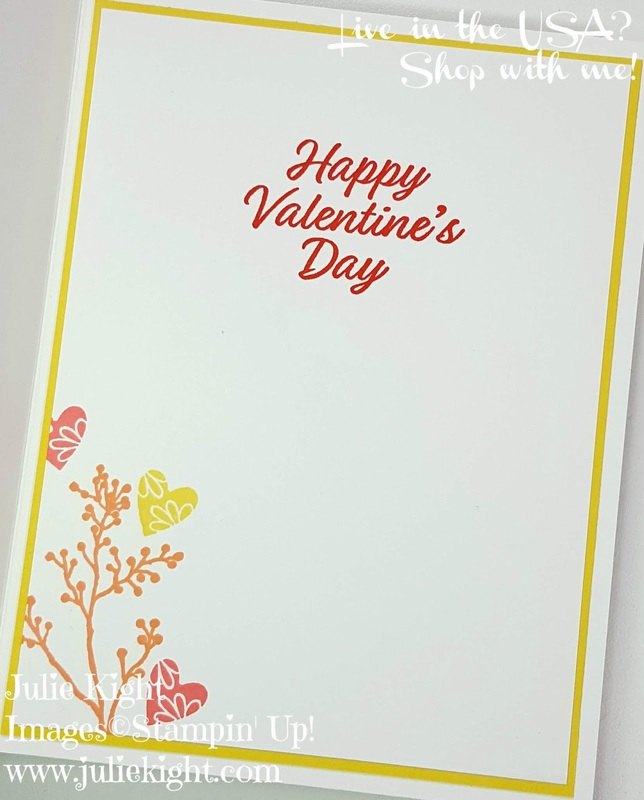 I started with using the embossing paste mixed with a little of the Flirty Flamingo reinker. Did you know you could do that??? You can make it any color you want to match your project! Remember though that a little goes a long way. I then used the stamp set First Frost that was carried over form the Holiday catalog and matching dies to make a whole bunch of flowers in different colors. I also used the Meant To Be stamp set and matching dies to stamp and cut some of the hearts as well as the sentiment. I also used the Champagne Foil paper and one of the Frosted Bouquet dies to add so shine to my card. 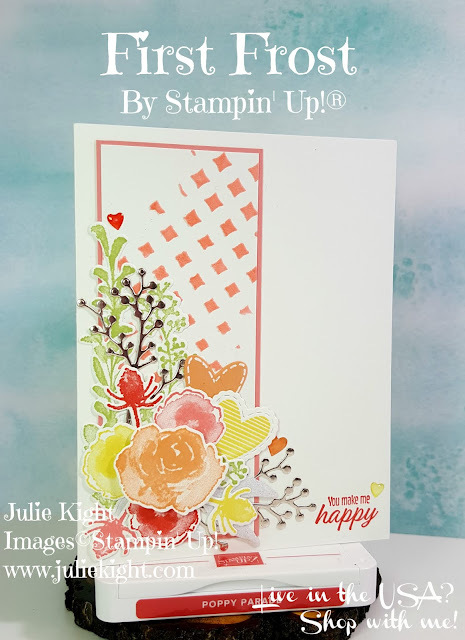 I placed the Heart Epoxy Droplets around the cover that I colored with the Stampin' Blends. I couldn't very well leave the inside of my card empty could I?!? 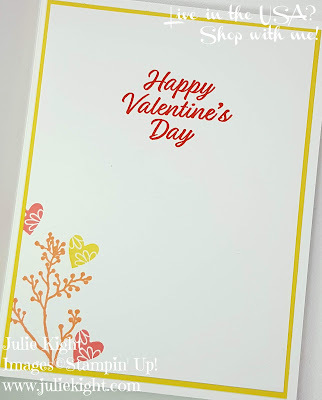 I carried the color theme in by first layering a piece of Daffodil Delight cardstock behind the Whisper White and then added a few heart stamps along with a flower branch and my Valentine's Day sentiment. Thank you so much for stopping by my blog today and I hope you continue along on our blog hop and see what each amazing demonstrator has created for you. Have a great day!